This is Giuliana's problem, as well. She is a woman at odds with herself. She was in a car accident that nearly killed her, and despite some recuperation time in the hospital, she has never been quite right since. There is something just a little off about her. Monica Vitti, who also starred in Antonioni's breakthrough pictures L'avventura and L'eclisse, avoids playing Giuliana as "crazy," but instead portrays her as a bundle of raw neuroses. She has the appearance of never being comfortable where she is, but also not knowing where else to go. She chews her nails, hides in her hair, and at any time looks like she is either going to cry or fall asleep. On a very basic level, Red Desert is the story of a love affair between Giuliana and a visiting business man who works with her husband. Corrado Zeller (Richard Harris, This Sporting Life) is a sort of nomad, traveling for work, following the money. He is out of sync, as well, but in a different manner. He is always moving and thus not tied down. He is like the water, whereas Giuliana is landlocked. Though Zeller will eventually express that he's not sure he's any better off for it, at least for a brief time, it at least makes him empathetic to Giuliana's problem. He settles long enough to hear her out, to listen to her complaints, and to seek out solutions. Well, if you're still wondering how the Red Desert - Criterion Collection DVD looks, then you clearly haven't read the rest of the review. Thanks a lot, I worked really hard on it, you jerk! Seriously, though, this disc looks phenomenal. The 1.85:1 transfer is miraculous. The lines are sharp and the surface is clean, and there is tremendous tonal balance between the dank grays and the bright reds and all the colors in between that brings every facet of Antonioni's psychological design to light for the first time in a long time--if not ever. The monaural Italian soundtrack has also been given a nice cleaning, and the clarity here, especially with the needling music and the background sound effects (such as the ships' horns), showcases the subtlety of the sound design quite well. The optional English subtitles have a good flow and are well written. Red Desert - Criterion Collection comes in a clear plastic case with a double-sided cover. The thick interior booklet has photos, chapter listings, production credits, and several important text pieces. The main articles are a new essay by writer Mark Le Fanu and a reprint of an interview Jean-Luc Godard conducted with Michelangelo Antonioni for Cahiers du cinema when Red Desert was first released. The booklet also has a couple of excerpts from pieces by Antonioni regarding the two short documentaries that Criterion has included as bonus features on this disc. 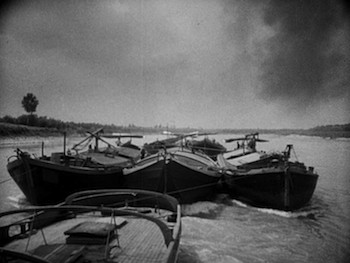 Both of these black-and-white nonfiction featurettes were shot in the 1940s. Gente del Po details a day in the life for workers along the Po river, and N.U. is an effective, poetic portrait of street sweepers in Italy. These are excellent short films, both about 12 minutes longs and make for fitting thematic companions to Red Desert. 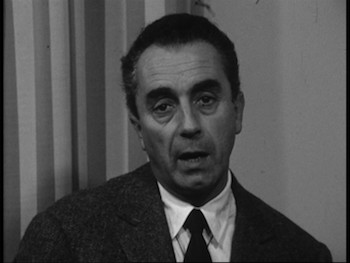 Even in the earliest stages of his career, Antonioni was concerned with how the common man was getting along with his environment. The Red Desert DVD also has a some extras that are specific to the film itself, not the least of which is a scholarly and informative audio commentary by film expert David Forgacs. Both writer/director Michelangelo Antonioni and star Monica Vitti are featured in individual interview segments. 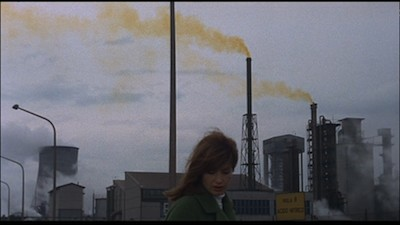 Antonioni's runs approximately 12 minutes and was recorded for French television upon the release of Red Desert, whereas Vitti's is a 9-minute excerpt from a 1990 interview, focusing on the portions where she talks about her artistic relationship with Antonioni. There are nearly 28 minutes of dailies from the shoot of Red Desert that give an unprecedented glimpse of the raw materials that go into a movie. A mix of both color and black-and-white footage, and lacking in any audio, we see the shots at their most basic. The footage is mostly from the scenes in the dockside shack, but there is also some from Zeller's apartment, where we also get a brief look at the crew at work, and some solitary shots of Monica Vitti. Finally, we get the theatrical trailer for Red Desert. Highly Recommended. 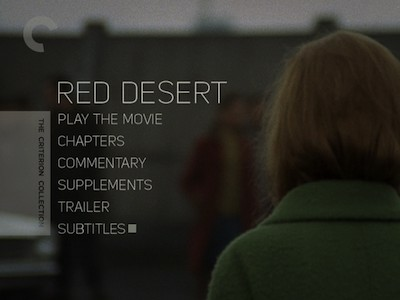 Red Desert is a classic of 1960s art cinema, and this new Criterion Collection DVD is exactly the kind of high-end package this film has been needing. With a pristine new digital transfer, Michelangelo Antonioni's carefully constructed tale of modern ennui and industrial illness looks phenomenal. Monica Vitti stars in this intriguing, often baffling film, playing a woman who can't adapt to mechanized life and all its changes. 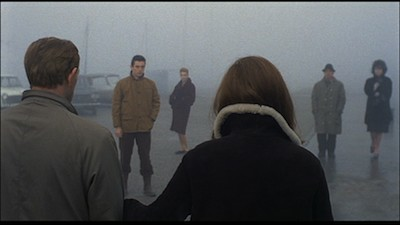 This one is a bit of a head scratcher, but it rewards multiple viewings; plus, the bonus supplements take the viewer deeper into the experience, illuminating Antonioni's intentions. 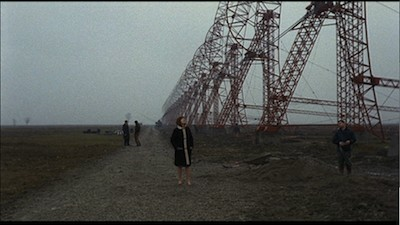 Red Desert - Criterion Collection is a real winner.